We are one of the leading manufacturer, supplier, service provider & exporter of Farm Houses. Our other products are Industrial Sheds & Warehouse, Prefabricated Cottage, Prefabricated Low Cost Housing and many more. Cuboid is the eminent manufacturer and trader of Portable Farm Houses that can be availed in numerous shapes and dimensions to meet the exact needs of our clients. Specifically designed and developed while keeping in mind the space feature, these boxes are quite popular among our valued customers. Our expert professionals make sure that these farm house boxes are developed from latest technology based machines for better results. Our company is the preferred names of the industry that provides a wide series of Prefabricated Farm Houses. Precisely designed to cater to the varied customer requirements, these cottages are known for their spacious and portability traits. 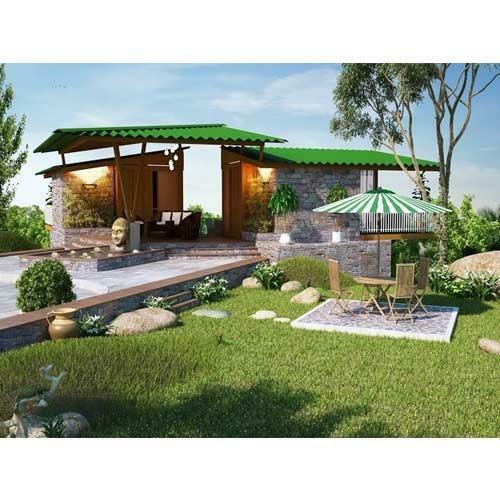 We make use of premium quality raw materials and latest technology based machines, for manufacturing these robust and elegantly designed farm house cottages.